The market is filled with Android TV boxes and some are even designed to be a mini XBMC player. 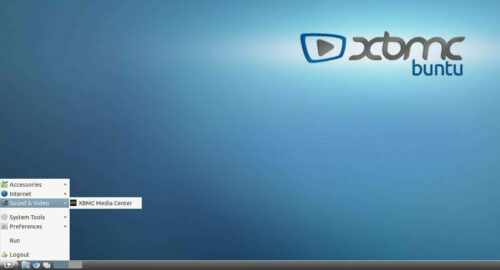 If you want the features of Android on your TV then by all means go for an Android mini XBMC box. 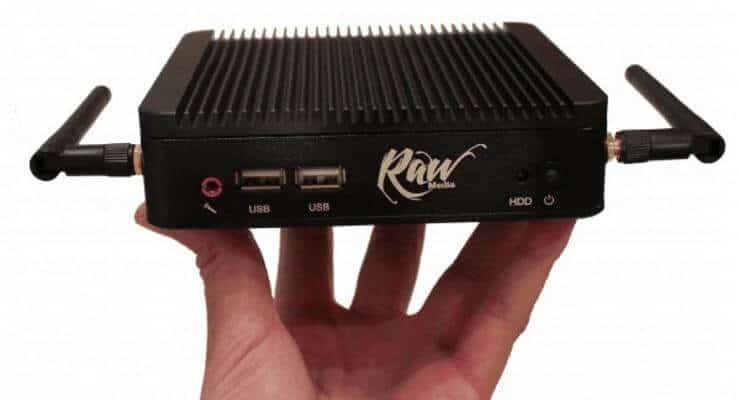 But if you want the flexibility of having a full fleged PC with the ability to run your own OS or a dedicated Kodi media center, then the Raw Mini could be a great option. Raw Mini's specs are not going to blow your mind off but make no mistake, with the right Operating System, it is capable of doing everything you want to do and possibly more. Plug type Your choice of; North American, U.K., or E.U. The Raw Remote comes with a nano sized USB dongle. It runs on a Lithium ion rechargeable battery and can work within a 30 ft radius. While the above are the advertised Raw Mini HTPC specs, upon opening up the box, I found a Intel AC-3160 Wireless card with Bluetooth. So it's Wifi is capable of running at 466 Mbps (theoretical) with a good Wireless AC Router. One of the first things that struck me about the Raw Mini was its build quality. The outer case is made of Aluminum, which is great for heat dissipation. The built-in fan and the fins on the case also help with heat dissipation. I was impressed at how sturdy and premium it felt. The Raw remote was very comfortable hold in hand. 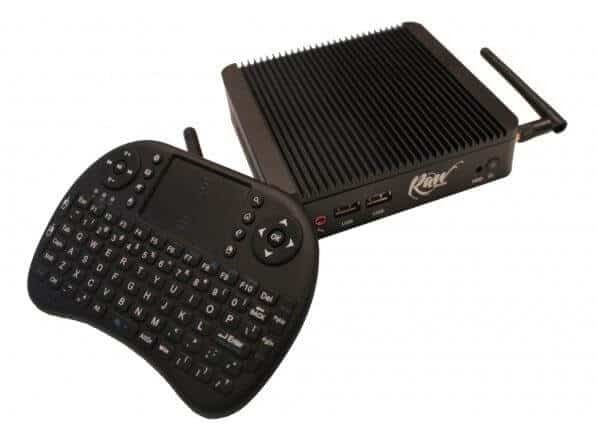 For its small size it surprisingly has almost all keys and functions as the full and currently top-of-line Logitech K830 wireless HTPC keyboard. The power of XBMC (now known as Kodi) is well known and I won't go into that in this review. The hardware is more than capable of playing high definition video without any stutter. 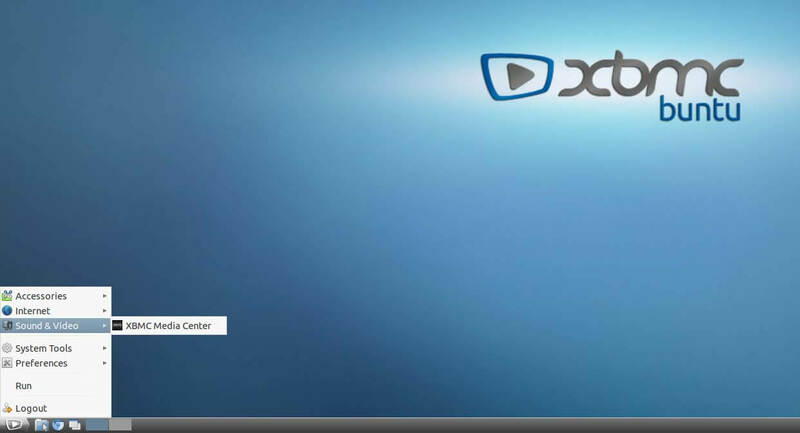 And it only takes about 10 seconds for it to cold boot and reach a stable Kodibuntu desktop. 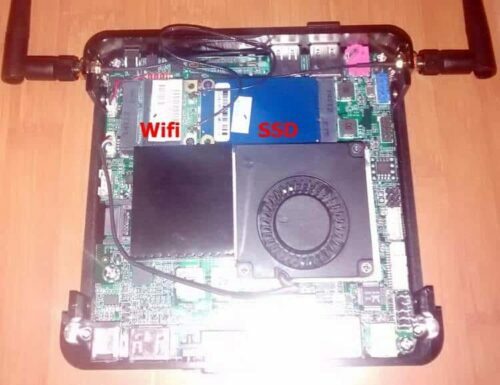 In essence, whether you choose an Android TV box or a Raw Mini HTPC entirely depends on your objective. If I were looking for a multipurpose HTPC for my living room then my choice would be Raw Mini. Another big reason why I would choose the Raw Mini is its flexibility. I can basically install anything I want on it. For example, I could install Windows on it, connect a USB storage device, install Kodi, CouchPotato, SickBeard, BitTorrent Client, and NZB Downloader on it build an always-on Windows home server. Testing with Kill-A-Watt, the average power consumption of this setup was a measly 13 Watts (plus 10 Watts from the USB drive). Raw Mini is a definitely a great mini HTPC build with Gigabit LAN, Wifi AC, and best of all versatality. It could even be used as a compact desktop PC. But all is not great and there are couple of things that could have made the Raw Mini even better. All compact mini or micro HTPC generate quite a bit of heat and a well ventilated space is key. Unfortunately some entertainment center cabinets may not allow for good ventilation. Another bummer is the lack of USB 3.0. If I connect an external USB 2.0 hard drive to be used as network storage, then the USB 2.0 interface is less than half as fast as what the Raw Mini's Gigabit port can handle. 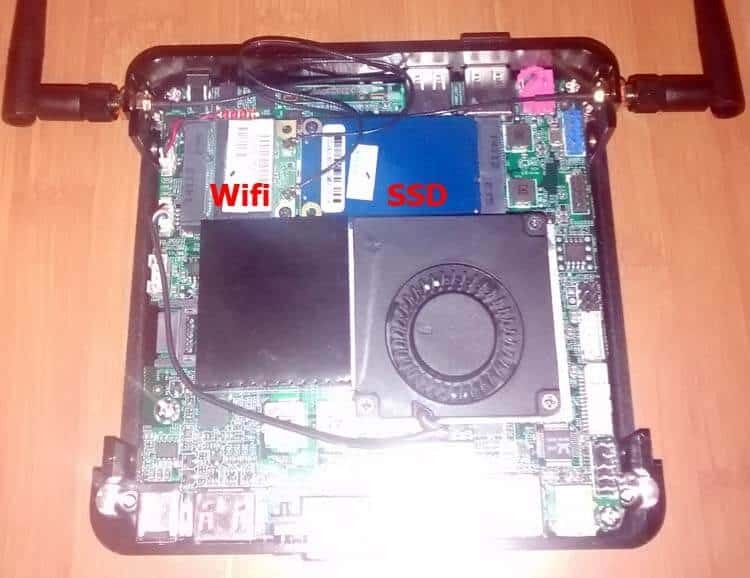 This is only a con if you are going to use the Mini as as 24×7 home server that not only plays media but also serves as media server or file server. To play HD Video and Audio locally, a USB 2.0 interface is several times more than enough. So a USB 2.0 port may not be a con depending on what your purpose is. My experiments with Raw Mini HPTC will continue in the coming days. But overall, if you like compact HTPCs that can be tucked away and don't like to pick and choose parts to build your own HTPC then the Raw Mini HTPC is a perfect choice.